There are two things in life we can be sure of: 1 - There will be unforeseen events, and 2 - It's up to each of us to make the most of the opportunities we're given. Wealth planning works in both ways, helping to minimise the knocks but also to grow the upside. Finding someone you trust to explain and help manage this process is the first and most important step in effective wealth planning. Insight into the legal and economic framework of the countries in which you live and work is also an essential part of the wealth planning process, as is a deep understanding of the tools and mechanisms available for wealth creation. That's why a good wealth planner is instrumental in helping you set your wealth objectives, because they know how to set a course for the long road ahead. Planning is a powerful tool available to anyone serious about making the most of life. All it requires is a little commitment. Living spontaneously has its place and can be an exhilarating part of the journey but planning ahead is how you avoid unnecessary potholes and mitigate potential catastrophes along the way. Such as passing on financial gifts to your children and spouse. If you were to pass away, would your family be able to sustain their standard of living? Life cover is a smart way to protect your family from financial ruin in this difficult situation. We are living longer than ever before and as such planning for retirement is a daunting task best started early in life. Sharenet Wealth only uses Unit Trust Retirement Annuities (RAs), ensuring you get the best product with no hidden fees and penalties. Offering stability in situations that would otherwise be devastating, such as injury or death, and the subsequent loss of income. Ensuring the continuity of long-term family wealth requires a specialised skill set, one that takes into consideration the short, medium and long term. We can help put these plans in place. Our philosophy is simple - we plan for your wealth as if we were planning for ours. It's a relationship based on integrity and longevity, trust and word of mouth, which is why we've structured our services, fees and products to ensure there are no conflicts of interest. You may be asking yourself, "How can I be sure there's no conflict of interest?" Well, while many other wealth planners work on commission structures that incentivise their representatives to sell in-house and affiliated products - we don't. Our advice is completely unbiased and based purely on the best performing products available on the market. It's also completely obligation free. So instead of commission our time and expertise is covered by a clear and transparent fee structure. We believe wealth planning client relationships should be based on loyalty, not by holding them to ransom. That's why we don't impose any penalties if you decide to change advisors or cancel policies. In short, Sharenet Wealth offers a one-on-one, high-touch service tailored to help you meet your wealth objectives while working within your financial means. To see for yourself how 30 years of financial intelligence can work for you get in touch with our experienced team. Risk weighted profiles that blend the best performing funds and form the backbone of our wealth-planning solution. One-on-one assessment with tailored solutions, clear explanations and strategy rationale. Pension funds, risk insurance, life cover and more. We blend both passive and active fund management style to bring you the best of active management with a low fee structure. We touch base every quarter and undertake annual reviews on your portfolio. You can trade directly in shares and other securities and either self-manage in conjunction with our portfolio managers or our portfolio managers can recommend a bespoke Regulation 28 portfolio for you. Critical illness, disability, life cover and income protection. In addition to "Approved" investments such as retirement annuities we also offer a wide variety of investment options including, tax free savings portfolios, managed share portfolios, endowments and unit trusts. Medical Gap Cover is an essential part of your medical aid cover. Shortfalls on medical procedures can cost a fortune. Gap cover protects you from this. We partner with leading medical aid intermediaries to offer you a wide selection of medical aid options. We can help with wealth management of your estate & inheritance tax planning. The Investec Corporate Cash Manager Money Fund (CCM) is an exclusive call account from Investec Private Bank that is administered by Sharenet Wealth. It is most beneficial to conservative investors seeking a good yield on their surplus cash (min R50,000) while enjoying the flexibility of a highly liquid investment. The Investec CCM fund offers a daily return that approximates the average of the top four qualifying money market funds' published rates. Cash is available within 24 hours and there are no initial, upfront or transaction fees payable. Funds can be transferred from any outside account into this Investec CCM account. The account can be opened either in the client's own name and/or in the name of a trust or company. Funds can be moved at the client's discretion. Sharenet Wealth, as the intermediary, administers the funds on behalf of our clients. Your call account (min balance R50,000) will attract an interest rate that approximates the average of the top four qualifying money market funds' published rates. No bank charges or transaction fees are applicable. Sharenet Wealth will be responsible for all administrative duties. Monthly statements are sent reflecting details of all transactions and interest earned. All instructions are actioned by Sharenet Wealth. Electronic fund transfers are available to ensure the efficient transfer of funds. Funds available within 24 hours. Franette has over 8 years' experience in the Wealth Management industry. She is passionate about advising clients on the accumulation and the preservation of wealth. 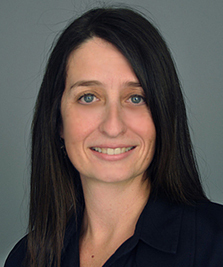 Her area of expertise incorporates Estate planning strategies where she can assist a client to aim to protect the value of their estates and encourage inter-generational wealth planning. Martin joined Sharenet Wealth in June 2018 to lead our Investment Strategy Group. Prior to this, Martin was a Portfolio Manager at Standard Bank Stock Broking heading up offshore investment strategy. He was previously Head of Trading at PSG Wealth and has more than 7 years' experience in the investment management industry. 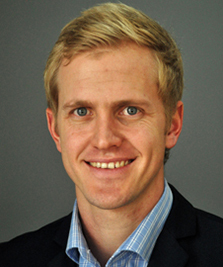 Martin holds a B.Com Honours degree in Accounting, is a qualified Chartered Financial Analyst, holds the CFP designation and is a member of the Investment Analyst Society of SA. Martin is a director of the Sharenet Johannesburg branch. 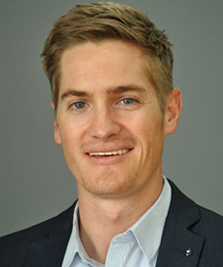 Steinman joined Sharenet in 2018 as a director of the Sharenet Johannesburg branch. Prior to this, he was a director at Capilis Asset Managers, an asset management company he co-founded with Iwan Swiegers. Steinman holds a B.Eng (Industrial Engineering) degree from the University of Pretoria which he obtained in 2010 and is a CFA charter holder. Steinman has more than 5 years experience in the investment management industry. 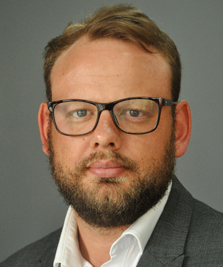 Iwan joined Sharenet in 2018 and is a director of the Sharenet Johannesburg branch. Prior to this, he was a director at Capilis Asset Managers, an asset management company he co-founded with Steinman de Bruyn. Iwan obtained a B.Com degree in Financial Management from the University of South Africa in 2012. He is also a level 2 CFA candidate. Iwan has been involved in the financial markets since 2004. Thank you for your interest in Sharenet Wealth. If you would like one of our wealth planners to contact you, please complete the enquiry form below and we will call you back to discuss your requirements.